Siemens’ Process Industries and Drives and Digital Factories divisions are teaming up with Bentley Systems’ Bentley Institute to establish a Process Industries Academy that will support the companies’ joint vision for cloud services and digital workflows in engineering and operations. The Process Industries Academy will help organisations to better understand and develop an effective digital strategy across all aspects of the asset lifecycle, based on the practical experience and knowledge of the industry’s leading experts, said a statement. With recent fluctuations in the oil, gas, and global energy markets, and the subsequent impact on related process manufacturing sectors, established ways of working in the process industries are now being challenged across the entire project lifecycle, it said. Fewer capital investments in greenfield projects, and an increased focus on optimising productivity, performance and utilisation of existing assets, have prompted the process industries to examine new ways to increase competitiveness and operating revenues, it added. An optimal approach to project delivery and asset performance addresses the interactions and balance between an organisation’s capabilities, its people, the underlying business processes and methods, all coupled with the latest technology, to consistently improve its business outcomes. Based on the experience and knowledge of the industry’s leading experts, the academy will provide sessions focusing on real-world examples of the key aspects of a digital approach to capital project delivery and asset operations. Participants will discover how developing a clear digital strategy for improved collaboration, communication, and coordination between project teams creates an ideal environment to optimize information creation and digital workflows. “Our shared vision for the academy is to offer a practical, effective means for asset owners, decision makers, and program and project managers to understand the interactions and balance between teams, processes, and technologies so they can see improved project delivery and asset performance,” he said. 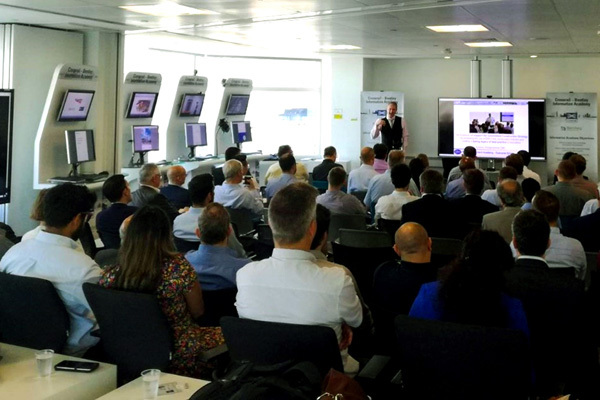 “With academy sessions, we hope to help participants to develop a better understanding of their role and the benefits across the asset lifecycle, with practical, real-world examples of ‘Going Digital’ to advance capital project delivery and asset operations,” he added.